"The Principle" Movie: New Scientific Proof of Geocentrism! Atheists hate God. If they didn't hate God, they wouldn't be so busy trying to counter Him. There are many atheists who claim to know the Bible more than believers do. Why would they take up such a task if they did not hate God? Is it just for sport? Why not spend their time doing things they enjoy, rather than bothering with a non-existent being? If God doesn't exist, why do they waste their time learning the Bible, trying to trip up Christians, speaking against Him? That would be foolishness to spend your time countering something that doesn't exist, especially when you claim you know God is non-existent. How stupid would it be to spend your time arguing against something that doesn't exist? Why would you bother with that? It makes no sense to hate someone who doesn't exist. If you don't believe God exists, you should not hate Him, you are quite correct here. Winston, why does anyone speak against you? Do you think those people who speak against you are merely neutral? If they say they don't hate you, yet say and do things which demonstrate that they do hate you, can you say they don't really hate you? The thing is, atheists know God exists. They just reject Him. You don't accept that. Naturally this is not all atheists, just a significant portion of them so that I can say this. For example, would it be terrible to say Jews control banking? Surely not every Jew is in banking, but does that fact nullify that Jews are the bankers? If I said American women are skanks, does it matter if not every one of them is a skank? If the whole world were Atheists, many would simply do all the evil they want or can get away with at least. See, you just did it yourself. You just called Atheists evil, amoral, and trying to get away with everything they can. Yet people who do such things, who break God's laws continually, don't hate Him. Sure sure. They just hate His rules. They're okay with Him. It's just His rules they despise. If you love to break His commandments, He says that means you hate HIM. In fact, when you read it, it says "despise". God says that those people who commit ungodly sin hate Him. You can't just hate His laws. He made those laws. Of course they hate God for His laws. God demands they live a certain way which they don't want to do. Most atheists spend almost no time countering your invisible friend. Once it is obvious how weak the bible is they drop it and move on like most people do with Santa. When it does come up it is because some cultist starts derping in front of them about things that can't possibly be true. If someone started claiming that a pink unicorn lives in their basement, most people would be like "WTF dude". In your mind that would mean they hate pink unicorns. Most sensible people would understand that isn't the case. A few people do it a lot more, people have hobbies. There are people who spend plenty of time arguing that the Germans should have drove straight to Moscow and others who say surrounding Kiev was the right move. Huge vicious fights on alt.history on if an invasion of Britain [Operation Sealion] was viable or ever could be viable without the intervention of alien space bats. A very small group of people make it their career to counter your imaginary friend not out of hatred but because they wish to counter ignorance. 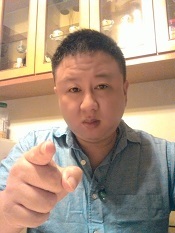 It no more indicates hatred of your imaginary friend then someone who makes a living debunking astrology or people who claim to have powers or people who believe in chemtrails or "big pharma"
"Is it just for sport? Why not spend their time doing things they enjoy, rather than bothering with a non-existent being?" Yes. some who do it, do it for sport. It can be jolly good fun for some people. Personally I enjoy it for short periods of time although I find it annoying after a bit of time because trying to have a reasonable conversation with a cultist is like talking to a brick wall. Also atheists who do spend their time countering are not arguing with your imaginary friend, they are arguing with people like yourself who insist that your imaginary friend is real. I've spoken out on the way Winston runs the board and some of the ideas he presents and the methods he employs in the pursuit of being a free thinker. Doesn't mean I hate him. I have to respect his willingness to be honest warts and all and his willing to put up with disagreement and harsh words. Also what mental malfunction does a person have to have to think that anyone who argues with something someone else believes can only do so with hate in his heart. I don't even hate you. I think you are a fool, so much a fool that even Mr T would have problems giving you pity but that isn't hate. Far from it. if atheists knew god existed they wouldn't be atheists. English, do you understand it maternal fornicator. I'd say that although there might be a rare exception, I doubt that any atheist hates god. Although many of us look down on Jebus cultists the same way Jebus cultists and us for that matter look down on Wiccans, Hindus, pantheists etc, that does not imply hate. He never said atheists were evil. He said that religion keeps some people from acting on their evil impulses. He is also wrong. religion has been staggeringly ineffective in keeping people along a moral path and atheists within a particular culture don't seem to be any more evil than their fellow cultists. There can be morality without theology, there is an entire branch of philosophy about it there are also strong human and cultural impulses to behaviour beyond cultism. But hey if you want to ask molested altar boys and orphans about how good their religious guardians and the people who protected them were, or those who were in religious order run residential schools about how one needs religion to be moral, go ahead. I don't hate his rules because I hate his rules or whoever the real author was. I break them because I don't see any reason not to eat bacon or follow the other 600 rules in the OT. I wonder if Adama follows them. If not, does he hate those rules? Those rules that at one time were considered very important to his imaginary friend? Pity you won't read any of this because I am blocked, not that it would do any good. I think I have pointed out beyond any reasonable shred of doubt that you are way off base. But hey, keep with your completely baseless claims. I guess you won't mind if I call you and your fellow cultists child molesters, it does seem to be a hobby of the more devote leaders. After all I don't need to back anything up you said. Anyone who can't contemplate opposition and argument without bringing hate into the equation probably has mental health issues. If someone was to strongly insist to Adama that Santa was real, he would argue the point. Because he aruges the point Adama must hate Santa. Because he hates Santa Clause he must believe that Santa. Based on his comments. Therefore Adama must believe in Santa. QED based on Adama logic. Adama wrote: This guy tries to prove the existence of Jesus without relying heavily on scripture. It doesn't matter anyhow. We already know from my Bible verses thread that there are many people who simply don't want to believe in Jesus. Those people are already condemned, as is every unbeliever. When they perish, they will open their eyes in hell for eternity; everlasting torment. The worst part must be that it lasts forever. Of course there is no proof that such a place as that is real either. The only proof there is in this life is our faith. In the next life, after unbelievers die and after believers go to sleep in Jesus, everything will become manifest: the saved to everlasting glory, rest, joy and peace with The Lord; the unsaved to eternal shame and suffering in bonds and chains. You posted the wrong documentary Adama. That one is about creationism and God. That's why it's called "Genesis Theory". lol. It's not about Jesus. Which video did you mean to post? Also, why are there no real videos showing earth rotating or moving through space at 67,000mph? Etc etc. There are hundreds of questions and you haven't even dealt with even one. You just assume a priori that flat earth is false by default. The truth is you can't prove earth is round either. You take it on faith. You should do some research into this topic before commenting on it. Have you listened to Eric Dubay's interviews? Great public presentation with slide shows by a Christian named Philip Stott about Geocentrism, and the history behind the Geocentrism vs. Heliocentrism debate. Very exciting, interesting and informative. It shows how scientists, in their desperation to validate their "established models", often come up with ad hocs out of nowhere to make their models fit when it they don't, such as coming up with the "dark matter theory" or the "multiverse theory" to fill in the missing gaps or to explain away the fine tuning of the universe theory (anthropic principle). They have no evidence for such things, but they make them up and claim that they must exist. It also reveals how all experiments on Earth to prove the Earth's movement, such as the Michelson-Morley experiment, have failed and instead revealed a motionless Earth. Albert Einstein even conceded all this. But since Einstein was being paid to promote orthodoxy and heliocentrism, he had to find an explanation for this failure, otherwise his career wouldn't go forward, so he came up with his theory of relativity. Fascinating. It turns out there's a lot more to this than we thought. It also talks about how all scientific experiments, past and present, show a motionless stationary Earth. So scientists will eventually have to concede while they try to reconcile all this with their atheistic bias. Overall, heliocentrism is more a philosophical view of the universe rather than a scientific one. And their philosophy of course, is that God doesn't exist and we are insignificant, which is exactly what one of the main goals of the Illuminati was as outlined by Adam Weishaupt in 1776 (See "Proofs of a Conspiracy" by John Robinson, 1798). By replacing religion and God with science, science would become the "new god" for the world to turn to for all the answers, and the scientists would be the new "priest class". And that's why we have the staunch atheist agenda in science today. "The Lord reigneth, he is clothed with majesty; the Lord is clothed with strength, wherewith he hath girded himself: the world also is stablished, that it cannot be moved." "Say among the heathen that the Lord reigneth: the world also shall be established that it shall not be moved: he shall judge the people righteously." But wait! Besides religion, SCIENTIFIC EXPERIMENTS have also proven that the Earth doesn't move! 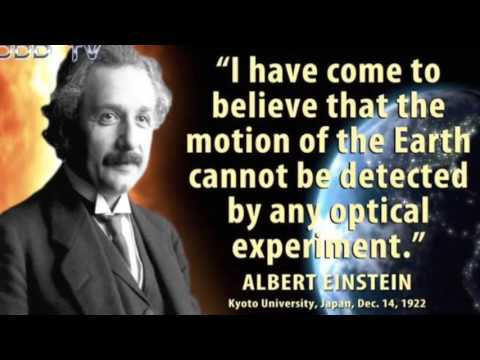 Look up the Michelson-Morley experiment done in the 1890's, which Einstein admitted demonstrated a stationary Earth. "The struggle, so violent in the early days of science, between the views of Ptolemy and Copernicus would then be quite meaningless. Either coordinate system could be used with equal justification. The two sentences, 'the sun is at rest and the earth moves,' or 'the sun moves and the earth is at rest,' would simply mean two different conventions concerning two different coordinate systems." But alas, Einstein was paid to promote heliocentrism. His career depended on it. So he came up with the theory of relativitiy, ad hoc (meaning made up something to fill in the gaps) to try to explain away all the failed experiments that showed no motion of the Earth. Major figures in cosmology, physics, and astronomy (Albert Einstein, Max Born, Stephen Hawking, George Ellis, and Fred Hoyle, among others) are in agreement that there is no scientific way to prove either model over the other, nor any non-philosophical/theological justification for doing so, SPECIFICALLY in the context of General Relativity. "We know that the difference between a heliocentric theory and a geocentric theory is one of relative motion only, and that such a difference has no physical significance." Other experiments that failed to prove the motion of the Earth but instead proved the opposite, that the Earth is NOT MOVING! (a) The Michelson-Gale experiment (Reference - Astrophysical Journal 1925 v 61 pp 140-5 - I forgot to put this reference in my book!) This detected the aether passing the surface of the earth with an accuracy of 2% of the speed of the daily rotation of the earth! Thus, the Michelson-Morely experiment detected no movement of the earth around the sun, yet the Michelson-Gale experiment measured the earth's rotation (or the aether's rotation around the earth!) to within 2%! This surely speaks volumes for geocentricity. (c) The Sagnac experiment (Reference - Comptes Rendus 1913 v157 p 708-710 and 1410-3) Sagnac rotated a table complete with light and mirrors with the light being passed in opposite directions around the table between the mirrors. He detected the movement of the table by the movement of the interference fringes on the target where they were recombined. This proved that there IS an aether that the light has to pass through and this completely destroys Einstein's theory of Relativity that says there is no aether. It is for this reason that this experiment is completely ignored by scientists. More recently Kantor has found the same result with similar apparatus. All these experiments are never taught at universities, so consequently, scientists, including most Christian creationists, are ignorant of this evidence for geocentricity." Winston, you're not supposed to use the Word of God to counter false science. Paul tells us to avoid oppositions of science falsely so called. You will not see me posting any Bible verses about the flat earth, or the stationary earth. Remember Satan has deceived the whole world. Unbelievers believe Satan. Therefore if the Bible says something that Satan tells everyone can't be true, such as the earth being flat, then they will only use that to say the Bible can't be true because science has already "proven" the contrary. I believe any Christian who is using the Bible verses to support the flat, geocentric, stationary earth should stop. Not because it's untrue, but because it's a huge trap for the people who have been brainwashed with science to overcome to get saved. Even the people who believe in science falsely so called can still be saved so they won't burn forever. Teaching the flat/stationary/geocentric earth theory using the Bible will make them to hold on more dearly to their false beliefs of science. I highly recommend it. It's a ground breaking film that shows hard proof from NASA that Earth is in the center of the universe and not moving too. It will blow your mind and change your paradigm. BUT the bigger immediate problem we have is...We are not suppose to be on planet earth, no carbon base life form should be on earth. The probability of earth making humans or animals or plants with carbon aka DNA etc is like a human mother giving birth to a elephant.... IT IS IMPOSSIBLE. The russian video cleared a lot of it for me...I was into these base life form but was shocked that earth itself was a freaking silicon base life form...The original creation of GOD. Carbon is like a pirated version of silicon...carbon base lifes are designed as a weapon never to reach god ever. guaranteed. Re: "The Principle" Movie: New Proof of Geocentric Universe! The movie "The Principle" is now up on Torrent sites if anyone still wants to see it and doesn't have a credit card to pay to see it online. Here is the link to download it. It's a must see mind-blowing film that shows how NASA has now proven that the Earth is stationary and at the center of the universe. Note: This is not a flat earth documentary, only a geocentric one. Here is the expanded 4.5 hour version of this film called "Journey to the Center of the Universe". I saw a documentary that did not seem like a religious documentary on a similar topic. Maybe it was this one. Maybe not. It was on YouTube. The first part dealt with the impact of Copernicus' model on the thinking of Europeans, and what he was actually saying. There were clips of interviews with scientists. Then the documentary went on to show the evidence that the earth's galaxy is in the middle of the universe, with rings of galaxies around our galaxy expanding outward. I don't remember seeing that magnetic 'photo' of the universe right after the beginning of creation discovery in that video, though I've seen other videos about it. There is also the argument that various elements of the universe need to exist for life to exist, like it has to be the right age, a planet has to be so far from the sun, the sun has to be a certain type of star, there needs to be a ring of asteroids. There have to be larger planets on the outer portion of the solar system. The list goes on and on until the chances that life can exist are more or less impossible, at least without everything being carefully designed and crafted because the odds are against it otherwise. So, to do away with the odds pointing to a Designer, some scientists have resorted to sci-fi explanations without any evidence, for example, the idea of a multiverse like in comic books. If there are infinite universes, then that is supposed to help with the incredible astronomical odds against us existing without a designer. But if each universe is independent like each coin flip is independent if you flip coins while calculating probability, the multiverse explanation may not help at all. We still have to face the fact that it is nearly impossible that life should exist in this universe without a an intelligent Creator. We should also realize that scientists also operate upon certain assumptions, some of which are drawn from previous scientific research, but some of which are the philosophical underpinnings of their world view. To do really deep research in this stuff would require reading academic journals, and those would be hard to get into and hard to understand. You may either have to pay a lot per paper or have access to a university to get into some of the journals. This video by a Christian truther below explains why the flat earth movement is a psyop created to discredit the geocentric model by associating flat earth with geocentrism, which gained strong credence when the groundbreaking documentary "The Principle" came out. One of the film's producers, Rick Delano, noticed that right after "The Principle" was released, flat earth theories began circulating YouTube and the web almost instantaneously, which cannot be just a coincidence. It seemed timed to discredit geocentrism - a theory which argues that earth is a sphere but is stationary and lies at the center of the universe. NASA has discovered data to confirm geocentrism from its latest space probes but is reluctant to announce it to the public because it would mean rewriting its whole scientific model of the universe based on Copernicus and Galileo's model, and thus admitting that it was wrong all this time. Furthermore it would also mean that science and NASA would have to admit that it means that there must be a God or creator too, which is a big no no for its atheistic agenda. Here also is a roundtable discussion from the same channel about NASA's lies and deceptions. A flat earth is geocentric. It doesn't take away from it at all. This is really not a valid argument, if this is the claim. By definition, the flat earth has the sun, moon and stars inside the sky, not outside. Thereby they are inside the sky rotating around the earth. There is no external universe. Therefore it must be geocentric. Actually the earth is the only planet there is. So this argument holds no water. Winston, I find it interesting that a man can repeat and broadcast such things while knowing the earth is flat. Or that a man doesn't recognize it is flat after all this time. Yeah the standard flat earth models may be geocentric. However a geocentric model isnt a flat earth or doesnt have to be. Geocentrism merely states that the sun and planets and stars go around a stationary earth. 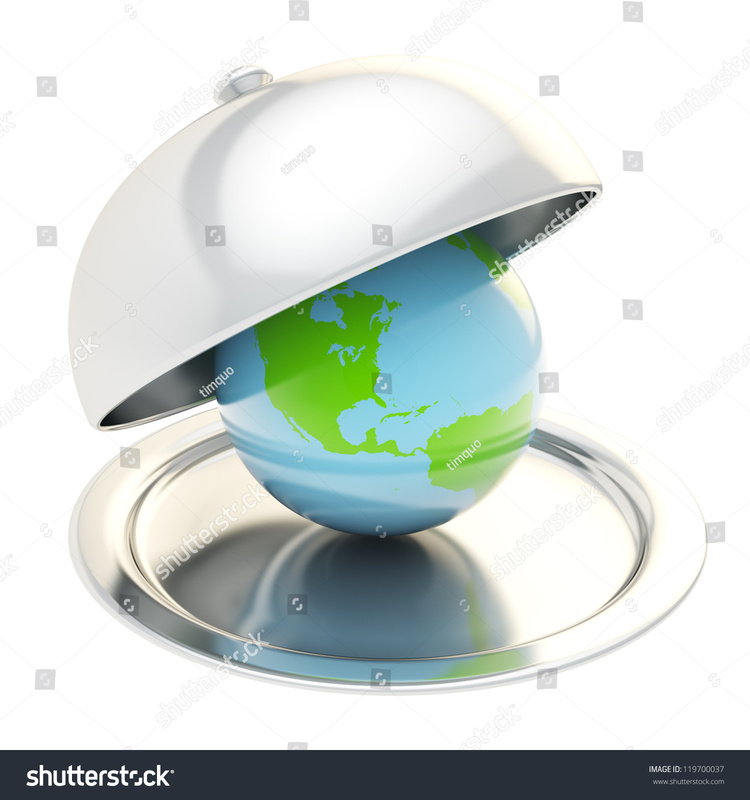 It doesnt say whether the earth is round or flat. Get your definitions straight. Btw in the first video rick delano explains why flat earth can be debunked in a few seconds. Listen to it. So you haven't yet recognized that the earth is flat? Still wavering and vacillating with every strong gust of wind? by jamesbond » May 1st, 2018, 9:00 am » in Business, Finance, Taxes, Investments, Cost of Living, etc.